Designed for fixing plasterboard to metal studding or wooden battens. Bugle head with Phillips recess allows the screw to be driven without damaging the board surface. Black phosphate finish. Driver bit included. 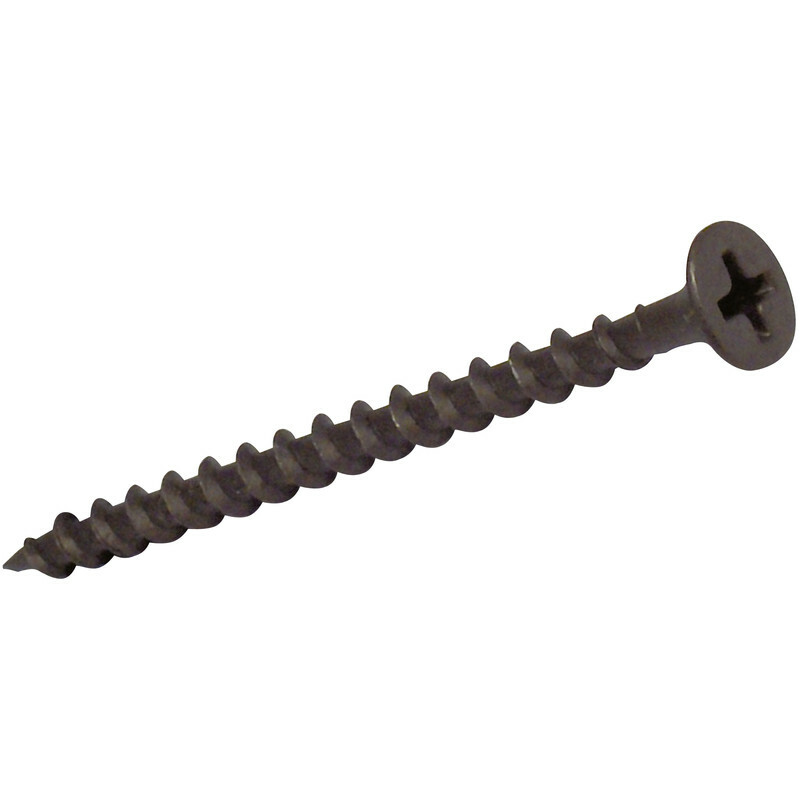 Drywall Black Phosphate Phillips Screw 3.5 x 50mm (1000 Pack) is rated 4.3 out of 5 by 70. Rated 3 out of 5 by Dee Summ from A bit disappointing. The pack was supposed to contain a Phillips screw tip, but it was missing. Several of the first screws were bent then one snapped. Out of about 30 screws taken from the box 5 were bent. Rated 5 out of 5 by peter John Diyer from Great product. Exactly what I needed, good quality, good price, great service. Rated 5 out of 5 by peter John Diyer from ToolStation always has what I need. I am glad I bought these screws very competatively priced. Rated 5 out of 5 by Willumn from Reliable and good price This will be about the 5th box of the 50mm I've bought, along with several each of some of the longer versions. They work well, drive fast and are a very good price. There always used to a free driver bit - but that seems to have been stopped, sadly.